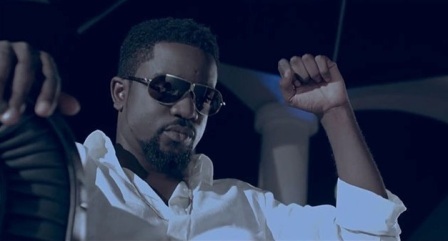 Ghanaian rapper and multiple-award winner, Sarkodie, has placed eighth in the 2013 list of Top 10 Richest/ Bankable African Artistes compiled by Forbes and Channel O. The ranking is based on artiste Sales, Social -Media presence, endorsement value, YouTube views, show rates , Influence, appearance in newspapers, investments, popularity and other factors. The list is dominated by Nigerians and leading the pack is Don Jazzy, but at the No.1 position is Akon. (1) Akon– Senegalese-American top the list – Founder of Konvict Music, gave bigger platforms to other African artistes such as P-Square and Wizkid . (2) Don Jazzy– Ranks as Best African and Nigeria Music Producer. CEO of Marvin Records, Samsung, Loya Milk and MTN as Brand Ambassador, Influential producer. (3) P-Square– Ranked as Best African Music Group. Featured on Forbes Magazine for Africa twice, sold out concert, and presidential guest in at least 5 African countries. They also fly a private jet. (4) D’banj– CEO of DB Records, Music Artiste. International music brand, GOOD Music, Def Jam, Mercury deal, Sony Entertainment Music distribution deal. (5) Wizkid– Music Artiste. EME artiste, Starboy CEO, affiliation with Disturbing London, international collaboration with Wale and others, perform twice on stage with American Pop Singer Chris Brown, and he is the highest paid Pepsi ambassador in Africa. He is also an ambassador for MTN. (6) 2Face Idibia– Music Artiste. Produces 10 million discs and has at least 7 million digital sale. He is a UN Ambassador for Youth and Peace, associated with Guinness, Haven Homes, Airtel Worldwide and philanthropist – Tuface Idibia Foundation. (7) Anselmo Ralph– Music Artiste, Samsung and Coca Cola Ambassador. Known as the ‘Angolan Prince’, he owns a perfume line, clothing label, a multimillion dollar tour bus, and he is a Sony Music African artiste. (8) Sarkodie– Ghanaian Rapper. Presidential youth ambassador in Ghana, owns Sark clothing, and he is a Samsung and Fan Milk ambassador in Ghana. (9) Ice Prince– Music Artiste. Multiple award winning rapper, Has received six million downloads, owns two studios, One Foundation member, Plug N Play Ambassador, Zamani Foundation. (10) Banky W– Music Artiste. Co owner EME, Samsung Ambassador, Philanthropist, multiple award R&B and Soul winner.